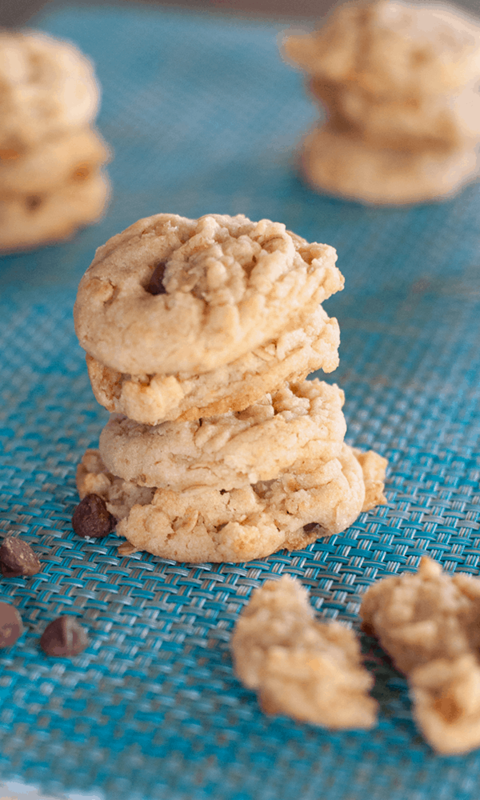 This “one cup” cookie recipe is our go-to chocolate chip cookie recipe. 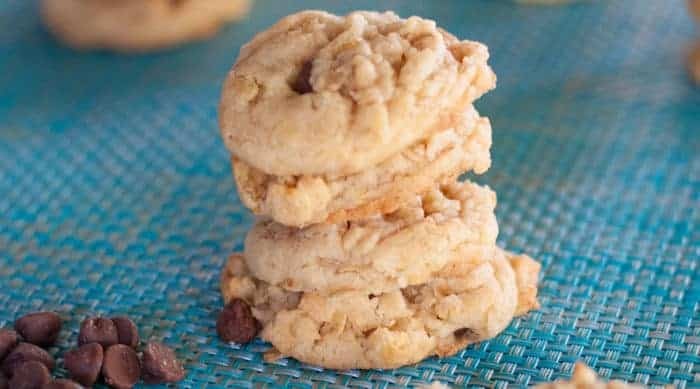 Oatmeal and rice krispies make these cookies crispy and delicious. 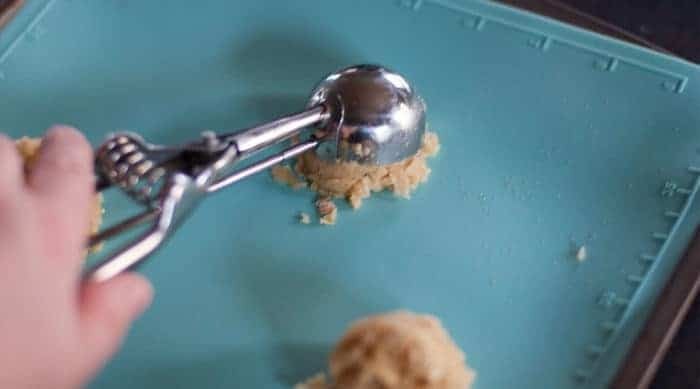 The recipe I’m sharing today is another one of my Grandmother’s recipes. One she shared in our Olsen family cookbook — pretty much the bible of cookbooks in our home. It’s one of those cookbooks you can tell has been used a lot. 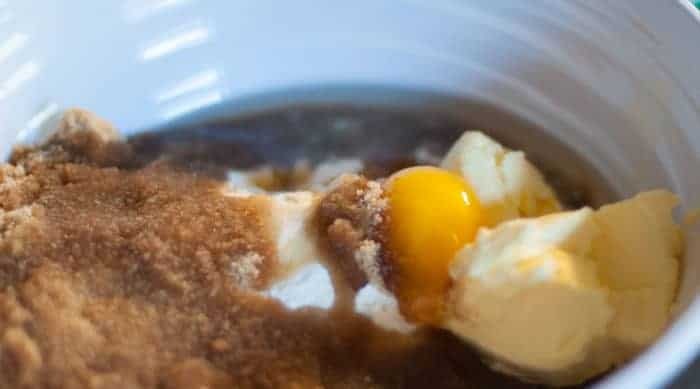 In a large bowl, mix the brown sugar, white sugar, margarine, oil, egg, flour, vanilla, salt, baking soda and cream of tartar. 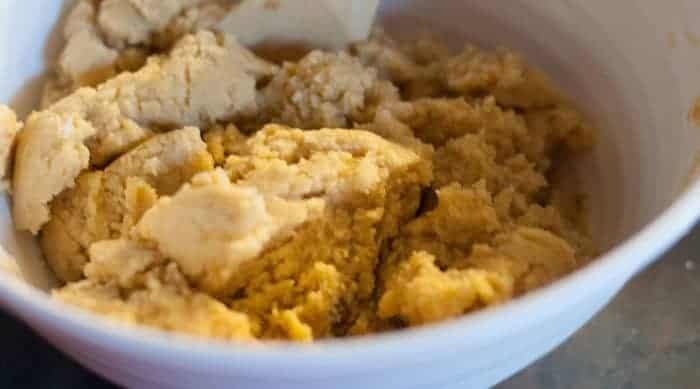 Mix until it makes a dough like this. 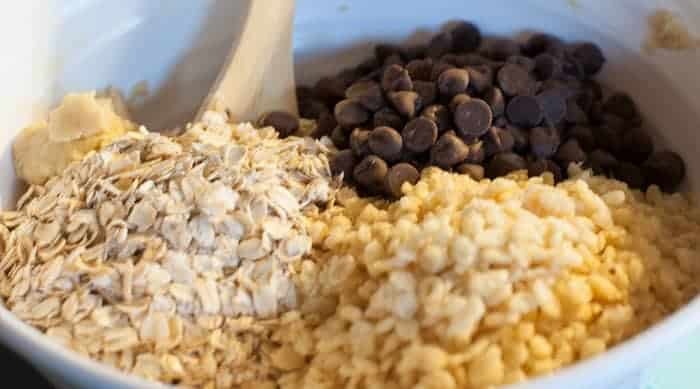 Mix in the chocolate chips, rice krispies, and oatmeal. 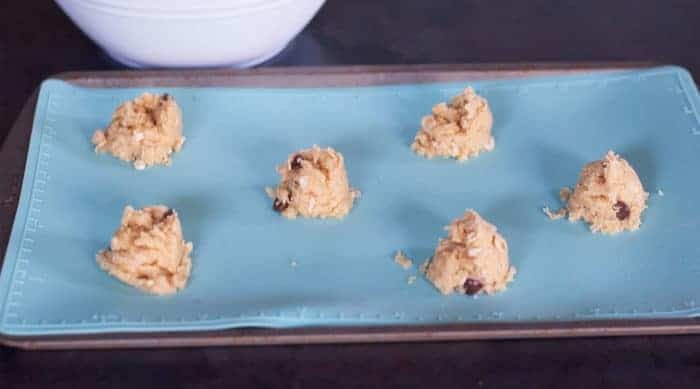 Drop by spoonfuls onto a baking sheet. I received this scoop as a gift a few years ago. It works awesome for measuring just the right amount! Bake at 375 degrees for 8 to 10 minutes. Be sure to cool completely. Store in an airtight container. Please stop by and say hi in the comments. Have you made something similar? 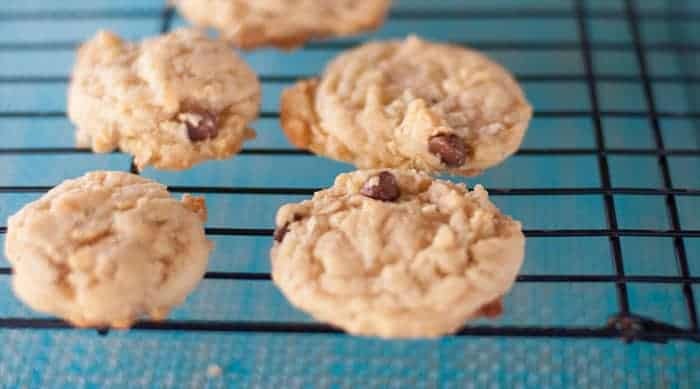 One cup cookies are the go-to chocolate chip cookie in our house. A three-generation family recipe. 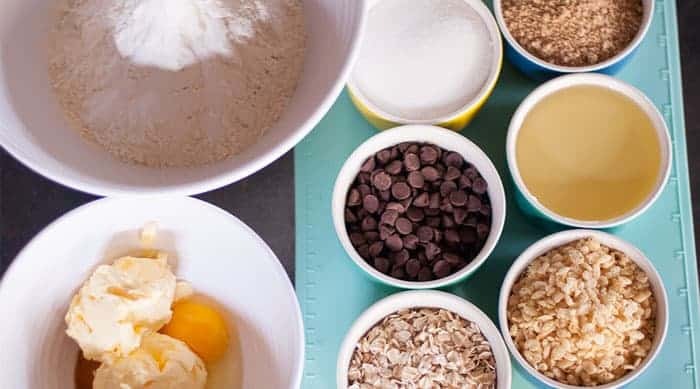 In a large bowl, mix together the brown sugar, white sugar, margarine, oil, egg, flour, vanilla, salt, baking soda and cream of tartar. 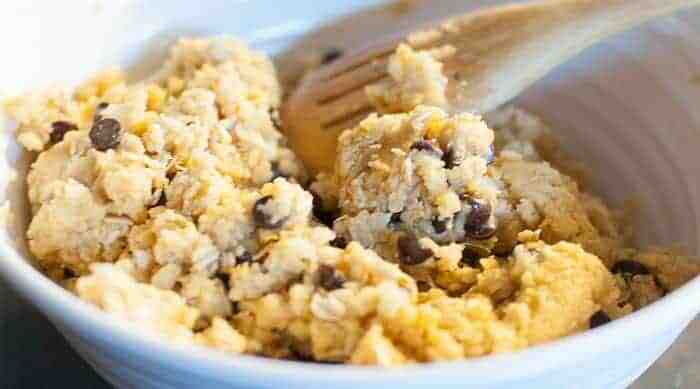 Mix in chocolate chips, rice krispies, and oatmeal. Cool completely, store in an airtight container. 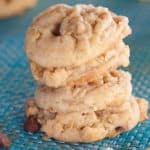 Do not over bake these cookies. They will get hard. Btw – I purchased Exploding Kittens as part of my brother-in-law’s birthday gift and hoping he opens it this holiday weekend so we can try it out. I’m sure we’ll end up getting our own eventually. And it was fun asking around at stores this week and getting some funny looks. Haha.